“The Spanish Steps, Rome, Italy”, watercolor painting by Bj. deCastro, will soon be the featured wall in a new restaurant opening in Australia! 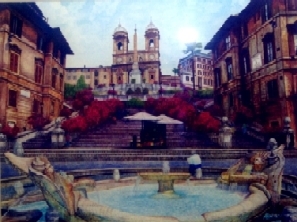 The image will be printed in sepia tone wallpaper to match the decor of the Italian Pizzaria. 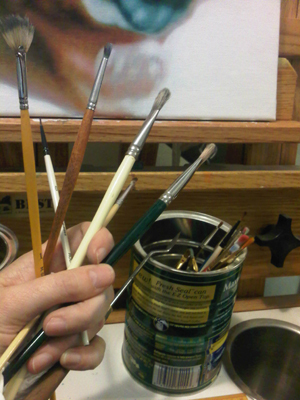 Pictures will be posted once the installation is complete. Bj. 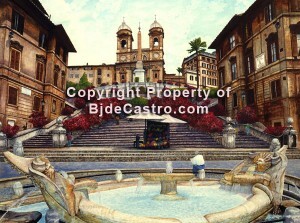 deCastro’s artwork The Spanish Steps – Awarded Art of the Day! 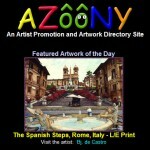 Your art piece offering “The Spanish Steps, Rome, Italy – L/E Print” is the AZooNY.com artwork of the day! 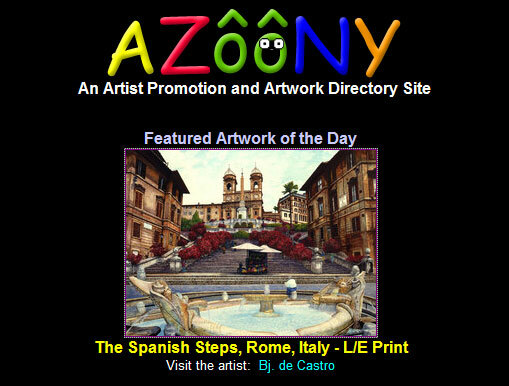 Your piece will be featured on the http://AZooNY.com homepage for the next 24 hours.